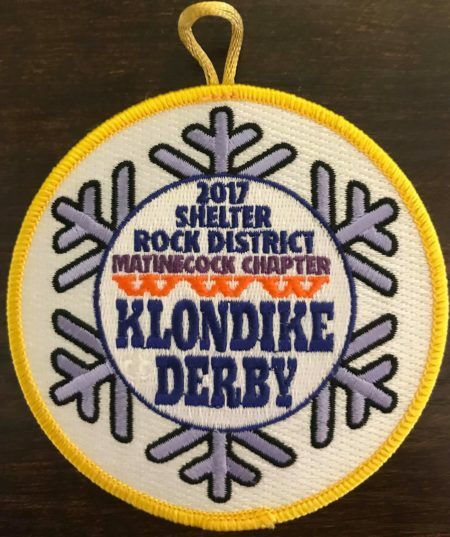 Here is second of two event patches from Buckskin Lodge #412’s Matinecock Chapter for the 2017 Klondike Derby. 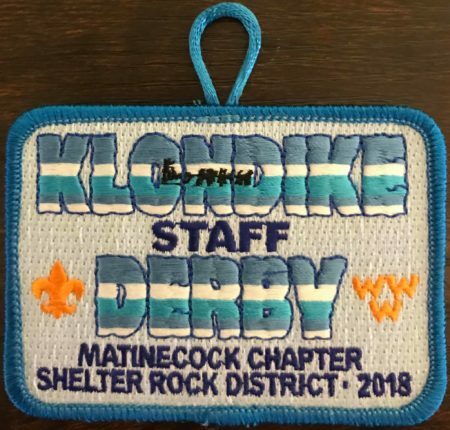 This is the staff version. 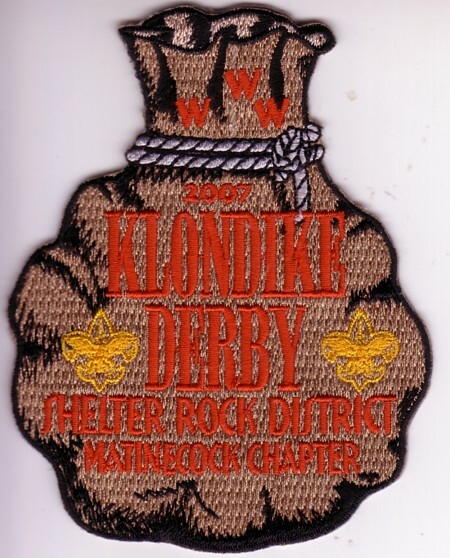 Matinecock Chapter of Shinnecock Lodge #360 Buckskin Lodge #412 issued an event patch earlier this year for the 2007 Klondike Derby. 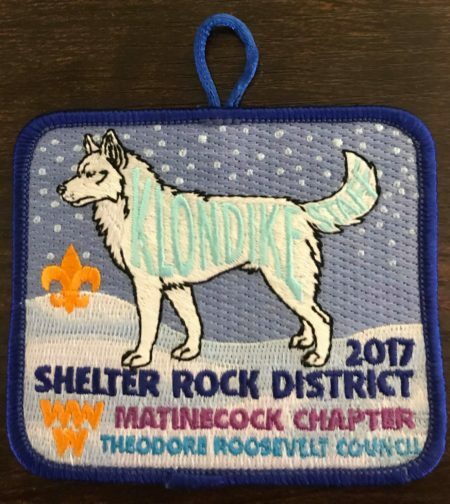 The design is that of a gold poke tied at the top with rope. Thanks to Matt Schieferstein for the correction.